If you hold digital currency, is it worth holding several smaller accounts to reduce the risk of theft of a larger account? This idea will be explored in a seminar by Emeritus Professor Charles M Kahn, University of Illinois, who will present ‘Eggs in One Basket: Choosing the Number of Accounts’ on Monday 25 February 2019. 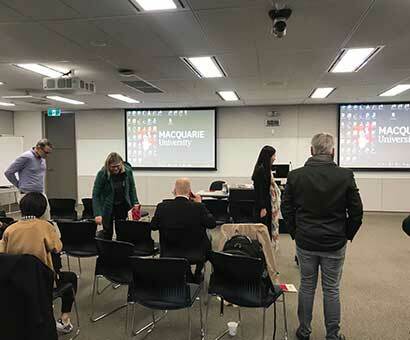 The joint seminar was arranged by the Department of Economics, Centre for Financial Risk and Department of Applied Finance at Macquarie University. Digital currencies store balances using anonymous addresses and this seminar analyses the trade-offs between, safety and convenience of aggregating balances. It becomes necessary to balance the risk of theft of a large account with the cost to safe-guarding a large number of passwords of many small accounts. Account custodians, such as banks and other payment service providers, have different objectives and trade-offs on these dimensions. The analysis will consider the welfare effects of differing industry structures and interdependencies. Prof Kahn’s research specialties are payment systems and liquidity. He is Professor Emeritus in the Department of Finance at the University of Illinois. He was previously Bailey Memorial Professor and as department chair, as well as co-director of its Office for Banking Research. He is currently a Research Fellow at the Federal Reserve Bank of St. Louis and a Visiting Scholar at Bank of Canada. An authority on banking and financial intermediation, Prof Kahn has been an overseas fellow at Churchill College, Cambridge University; a visiting fellow at the Australian National University; a National Fellow of the Hoover Institution, Stanford University; a Houblon-Norman fellow at the Bank of England; and the Visiting Tan Chin Tuan Professor at the National University of Singapore. He consults regularly for central banks throughout the world and has been a visiting scholar at the Federal Reserve Banks of Atlanta, Chicago, and New York. CFR Members were awarded $1.05m in ARC Discovery Grants in November 2018, to be shared between three diverse projects on financial risk that range from predicting housing price changes to an emerging field in quantitative finance. Associate Professor Roselyne Joyeux, Associate Professor George Milunovich, Associate Professor Shuping Shi and Dr Ben Wang are part of a team that has received $220,000 to measure uncertainty in global housing markets and the risk to Australia. 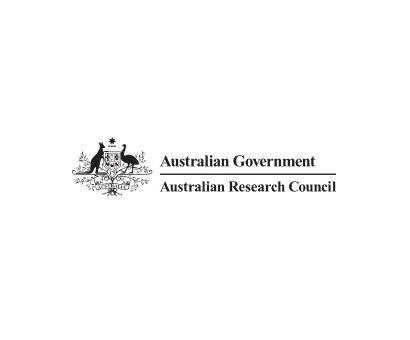 The project aims to develop and construct a measure of systemic risk for national real-estate markets in Australia, and its main trading partners; China, Japan, New Zealand, United Kingdom and US. It will investigate how real estate risks migrate geographically over time and during periods of financial turbulence. Early detection of the onset of future housing bubble collapses would be of significant benefit to policy makers, Australia’s trading partners, the real estate industry and ultimately home buyers. New methodology has been developed and is intended to become part of a market stability surveillance program that can assess the impact of real-estate risk on the overall economy. In a second ARC Discovery Grant, CFR member Professor Ken Siu has received $450,000 to establish a novel field: Two-price quantitative finance, and explore its applications. The new field will integrate two major schools for modelling and explain the presence of two prices, the buying and selling prices, widely observed in real-world markets, and the equilibrium approach from the fundamental law of one price. The aim of the project is to deepen the understanding of fundamental relationships between liquidity, prices, risk and the economy. It is expected to make a long-term impact on quantitative finance and related applications through providing a deep understanding of, and a new perspective for, the design, risk and fairness of finance, property and insurance markets. The third project is an ARC Discovery Early Career Researcher Grant (DECRA) that has been awarded to Associate Professor Shuping Shi for monitoring financial bubbles using high-frequency data. This project, which received $375,000, aims to develop an econometric procedure for monitoring speculative behaviour, often labelled as bubbles, in financial markets. Financial speculation can inflict harm on the real economy, and crises or recessions are often preceded by excessive asset market speculation. The project will utilise intraday information for bubble detection and address major technical challenges arising from high-frequency financial data. It is expected to significantly improve the speed and accuracy of bubble detection which will provide more timely and precise warning alerts for investment decisions, market surveillance and policy action, enhancing risk management tools in the economy. 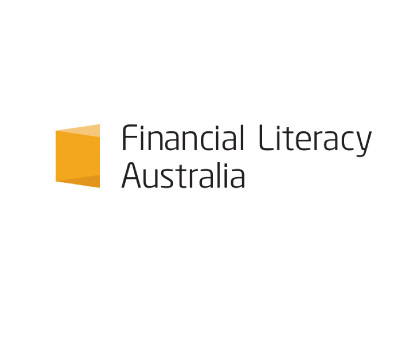 Financial Literacy Australia has awarded two grants to CFR members for projects that will directly help consumers better understand personal financial risks. A grant of $120,000 has been made to Professor Stefan Trueck and a multidisciplinary team for “AntiPort – Educating the public on risks and the prevention of mobile number porting scams”. 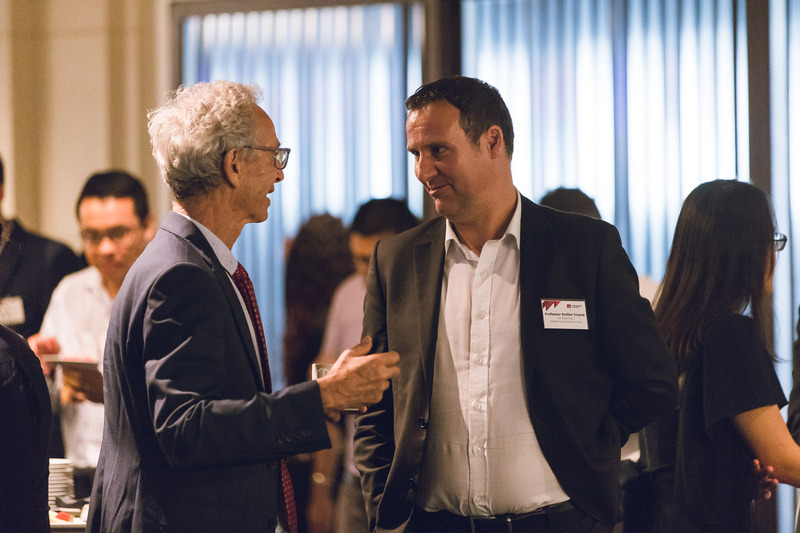 The 11th Frontiers in Econometrics workshop was held at Macquarie University’s City Campus on 19 July 2018 with 25 experts kicking off the three-day event at the Sydney venue - before heading to Brisbane for two more days. Over the three-day programme, 23 papers were presented at the two venues. Highlights included presentations by Professor Yacine Aït-Sahalia from Princeton University on stochastic volatility implied models, Professor Jun Yu from Singapore Management University on bubble testing, Professor Xu Zheng from Shanghai Jiaotong University on Copula models, and Professor Sebastien Laurent from Aix Maseille University on the estimation of Beta. The split event was a first for the Frontiers in Econometrics workshop, but resulted in useful informal interaction between participants as they travelled together, along with the chance for international guests on their first visit to Australia to appreciate two cities. Views of the Sydney skyline from Macquarie’s City Campus and dinner at Pyrmont were matched with breakfast on a bridge over the Brisbane River and Queensland’s University of Technology’s adjoining Gardens Point Campus, giving participants and opportunity to make the most of the host cities while enjoying the rigorous program. 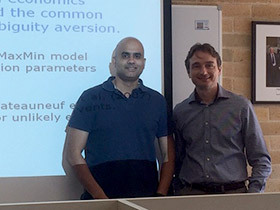 The Frontiers in Econometrics workshop was hosted jointly between Department of Economics and The Centre for Financial Risk at Macquarie University, and Queensland University of Technology. Researchers from Princeton University, Singapore Management University, Shanghai Jiao Tong University and Queensland University of Technology have previously hosted the event, and this year is the first time that Macquarie has played a key role in the joint conference between the five institutions. 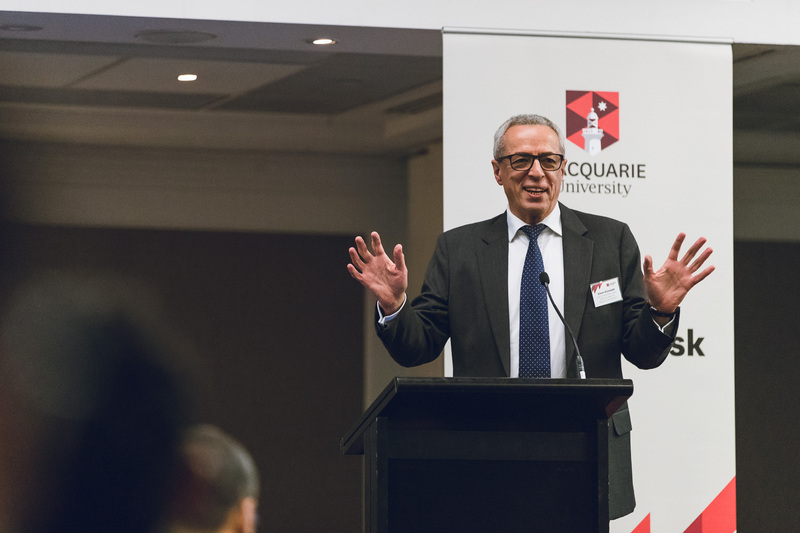 The Second Australasian Commodity Markets Conference was held on Thursday 22 and Friday 23 March 2018 at the Macquarie University City Campus. 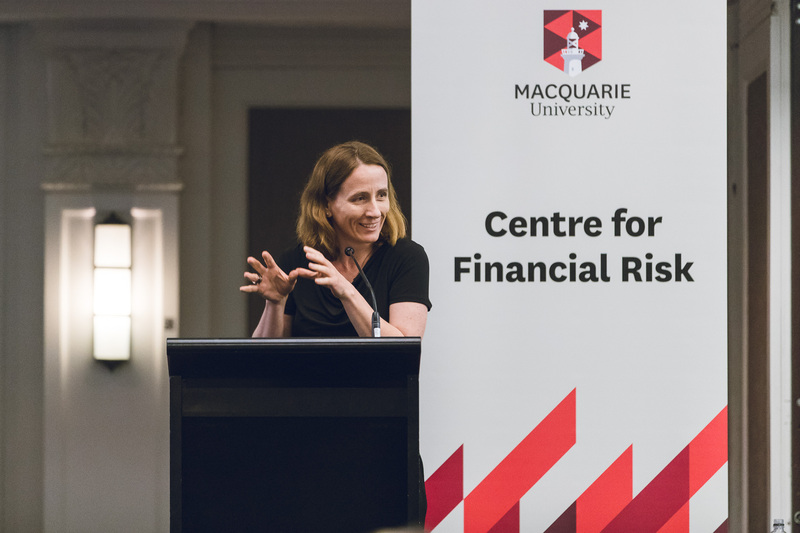 Organised and hosted by the Centre for Financial Risk and held in conjunction with the Journal of Commodity Markets, the Conference provided a forum for presenting and discussing high-quality research in all areas of economics and finance related to commodity markets. This year the conference had a special focus on risk management in power markets and the transition of electricity markets, renewable energy and stranded assets. The Conference included a keynote speech by Jaime Cassasus (Catholic University of Chile) on ‘The Economic Impact of Oil on Industry Portfolios’ and several academic and industry plenary sessions, including presentations by Professor Mike Aitken (CEO, Capital Markets CRC), Alex Georgievski (Managing Partner, Woollahra Partners), Thomas Schmitz (Head of Sales – Global Commodities, EEX), Professor Martina Linnenluecke (Macquarie University) and Isham Nilar (Origin Energy). There were over 40 international and national presenters and attendees. The conference program included presentations on a diverse field of research areas, including, among others, the dynamics of oil prices, modelling and risk management in electricity markets, investment and trading in commodity markets, renewable energy, energy consumption and growth, and the price behaviour of exotic commodities. The conference chairs were Lurion De Mello and Stefan Trueck. The organising committee comprised Professor Martina Linnenluecke, Professor Marcel Prokopczuk, Professor Pavel Shevchenko and Professor Tom Smith. 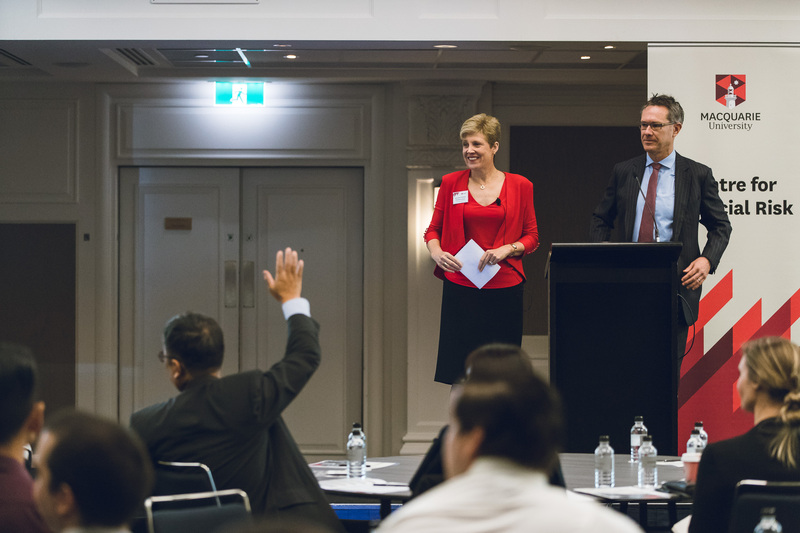 The conference organisers would like to acknowledge and thank eeX, Woollahra Partners and Capital Markets CRC for their contribution to a very successful event. The 8th Financial Risk Day brought together experts from industry, academia and regulators to analyse and discuss recent developments in financial research. This year's theme was “Investment and Risk in the Low Interest Rate Environment” (conference organizers: Jeffrey Sheen, Pavel Shevchenko and Stefan Trueck). 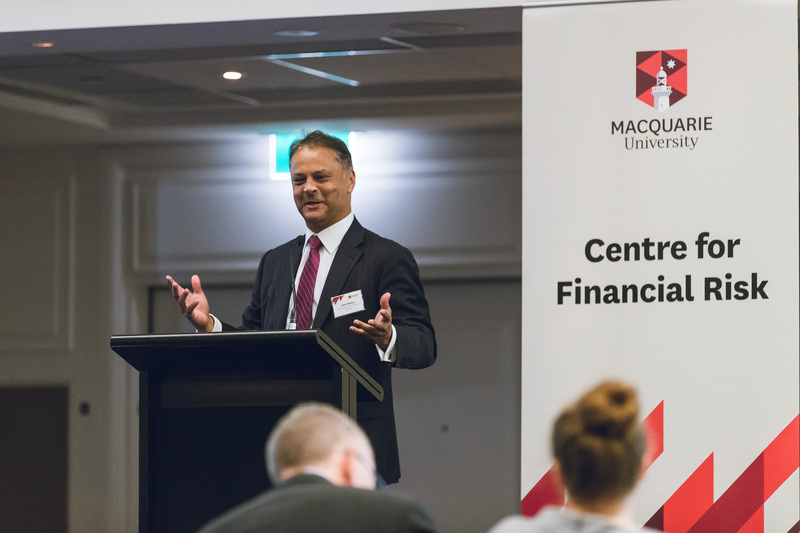 The Centre for Financial Risk in the Faculty of Business and Economics hosted Macquarie University’s eighth annual Financial Risk Day on 16 March 2018 at the Sydney Swissotel. 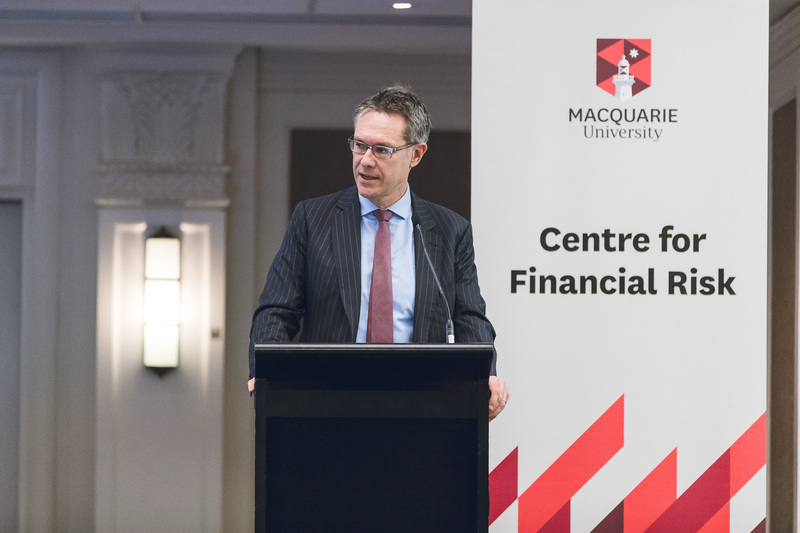 Guy Debelle, Deputy Governor, Reserve Bank of Australia (RBA); "Risk and return in a low rate environment". John Pearce, Chief Investment Officer, UniSuper; "A practical look at risk and return in the current environment". Antje Bernt, Head of Finance, Research School of Finance, Actuarial Studies & Statistics, Australian National University; "Dealer Inventory, short interest and price efficiency in the corporate bond market". Simon Elimelakh, Head of Investment Risk and Portfolio Analysis, NAB Asset Management; "Style Matters". Alastair Sloan, Former Head of Asset Allocation at Sunsuper; "Trading markets in the low interest rate environment". Stephen Kirchner, Program Director, Trade and Investment, United States Studies Centre, University of Sydney; "Interest rates, monetary policy and financial stability". Nigel Wilken-Smith, Director, Portfolio Strategy, Future Fund; "Portfolio construction in a low rate environment". Financial Risk Day is a key platform to exchange ideas on emerging research and regulatory issues on important risk-related topics, and to enhance links with industry and regulatory practitioners. Please visit our website for further information on this years’ Financial Risk Day event. 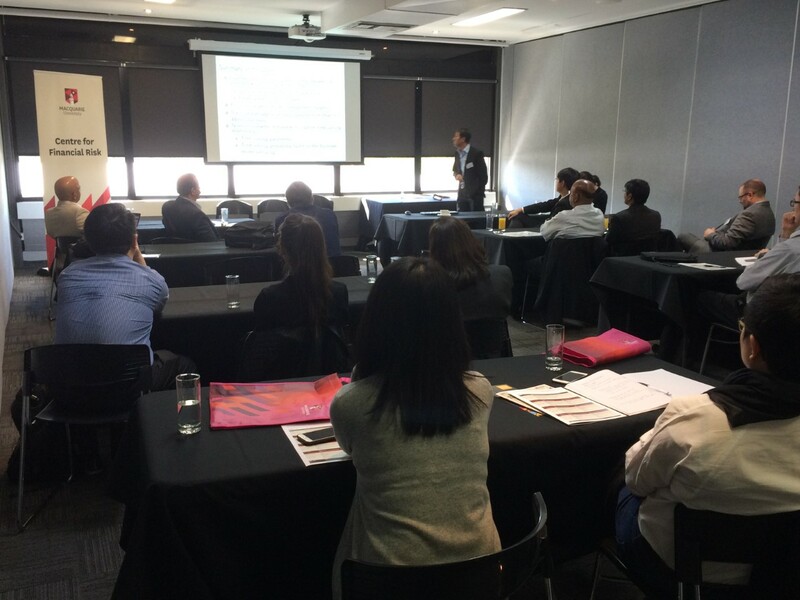 The First Australasian Commodity Markets Conference was held at Macquarie University from 6th - 7th April 2017. 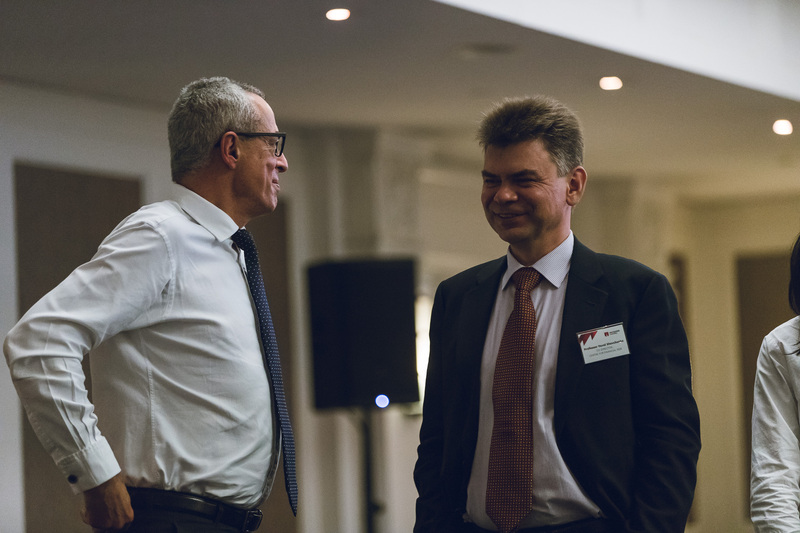 The 7th Financial Risk Day brought together a experts from industry, academia and regulators to analyse and discuss recent developments in financial research. This year's theme: the Impact of Technological Innovation on Financial Risk. 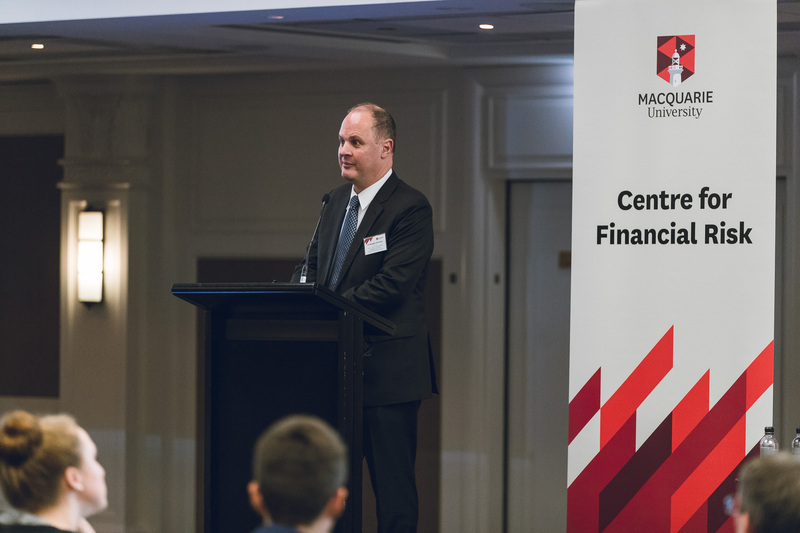 The Centre for Financial Risk in the Faculty of Business and Economics hosted Macquarie University’s seventh annual Financial Risk Day on 17 March 2017 at the Sydney Swissotel. 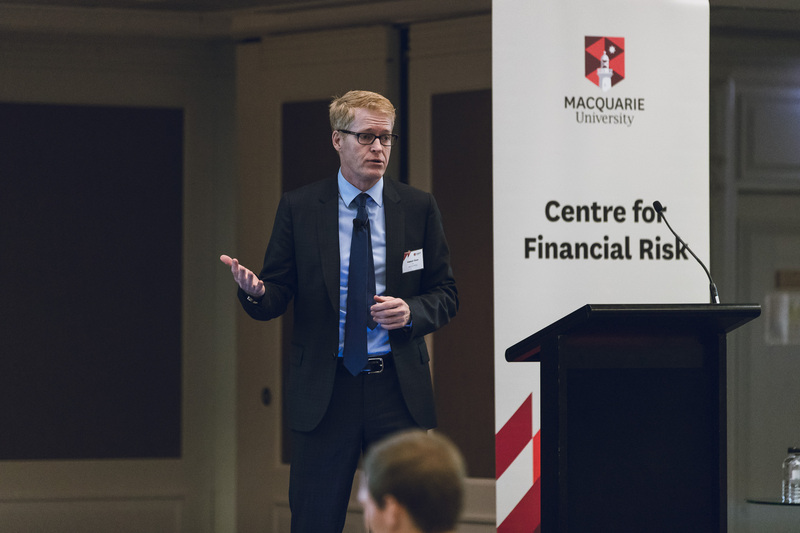 Risk Day is an event held each year by Macquarie University's Centre for Financial Risk to showcase work by researchers in this multi-disciplinary centre while enhancing links with industry and regulatory practitioners. Risk Day is a key platform to exchange ideas on emerging research and regulatory issues on important risk-related topics. This year’s theme - Impact of Technological Innovation on Financial Risk – brought together experts on Blockchain, Cryptocurrencies, Data Analytics, and the current wave of FinTech to examine the impact of these developments on the finance and insurance sector, economic and social exposure, and potential gains. This year was also the first time the Centre partnered with the Optus Macquarie University Cyber Security Hub to profile cyber security as a cross-cutting theme. This provided opportunities to discuss how industry, government and universities are collaborating to develop resilience of cyber security for business and society. 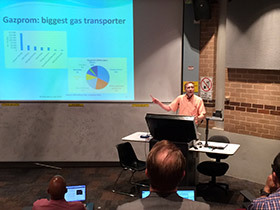 In a joint public lecture for the Centre for Financial Risk and Department of Economics, Dr Thierry Bros, Senior Research Fellow at Oxford University, addressed an important issue for the economy: Australia v Russia: Competing to provide gas to China? 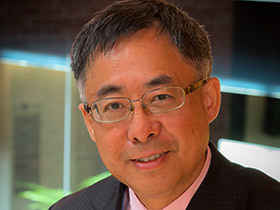 Professor Gary Tian has joined the Centre for Financial Risk, bolstering the centre's reputation for research excellence. Gary was appointed Professor of Finance in the Faculty of Business and Economics in mid-2016, after a previous role as Professor and Director of HDR and Research in the Department of Finance, and also founding Director of the Centre of Business Research in China, at Deakin Business School. He was also former Professor of Finance and Director of Chinese Commerce Research Centre at Wollongong University. He has held various visiting professorships in universities in China such as Shanghai University of Finance and Economics, Southwestern University of Finance and Economics, and South China University of Technology. Professor Tian has supervised more than a dozen PhD students. His research interests focus on corporate finance including political connections, CEO compensation, bank lending and informal finance, investment efficiency and family firm and audit opinions and auditor choice. Gary has published in leading finance journals such as the Journal of Corporate Finance (2011, 2012, 2013, 2015) and Journal of Banking and Finance (2015, 2016 and one paper in press). Last year, as one of CIs, he secured the only ARC Discovery Grant in the field of finance (2015-2017). He won a Best Paper Awards from the Financial Management Association in 2011 and Pacific Basin Finance Journal in 2015 and Emerald Citations of Excellence Award for 2015 for his authored paper published in Journal of Corporate Finance in 2012. 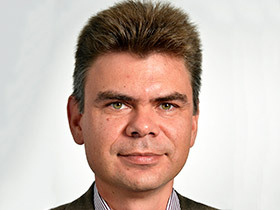 Professor Pavel Shevchenko is a welcome new member of the Centre for Financial Risk after joining the Department of Applied Finance and Actuarial Studies in August 2016. Before his appointment, Prof Shevchenko was a research scientist at CSIRO Australia where he had been since 1999. From 2012 he had held the position of a Senior Principal Research Scientist. 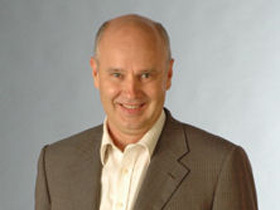 At the CSIRO, Pavel worked in the area of financial risk, leading research and industry commercial projects on modelling of operational and credit risks, longevity and mortality, retirement products, option pricing, insurance, modelling commodities and foreign exchange, and the development of relevant numerical methods and software. He received a MSc from Moscow Institute of Physics and Technology in 1994 and a PhD from The University of New South Wales in 1999. Pavel is currently an Adjunct Professor at the University of NSW, adjunct Professor at University of Technology Sydney, and Honorary Senior Research Associate in University College London. He is also associate editorof international journals (RISKS and Journal of Operational Risk) and member of a retirement incomes working group at the Institute of Actuaries of Australia. He has published extensively in academic journals, consults for major financial institutions and is a frequent presenter at industry and academic conferences. His publication records include one research monograph, two co-authored research monographs, more than 60 journal papers and over 80 technical reports. 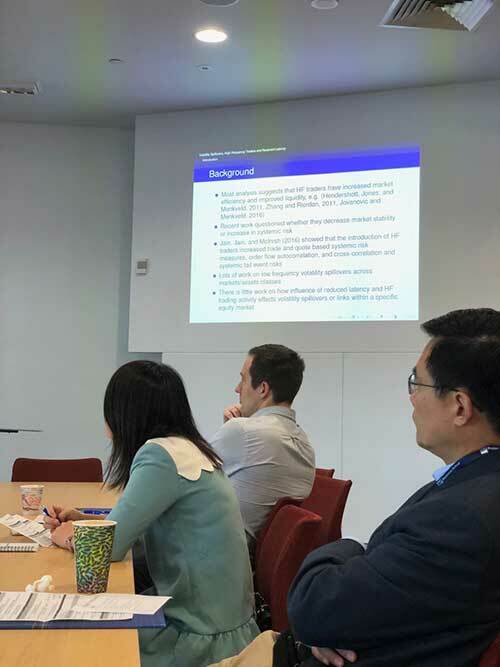 Associate Professor Roy Kouwenberg from Mahidol University, Thailand, presented an econometrics workshop on Measuring Risk and Ambiguity Preferences as part of his visit to the Centre for Financial Risk. 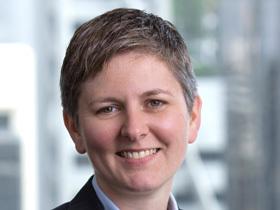 A half-day workshop on this topic, along with a second presentation on a liability-relative drawdown approach to pension asset liability management, were delivered as part of a separate event at Macquarie Applied Finance Centre attended by more than 35 people, largely from industry, on 24 November. Panel discussions followed each session and involved Frank Ashe, Honorary Fellow MAFC; David Bell, Chief Investment Officer, Mine Wealth and Wellbeing Super Fund; Simon Russell, director of Behavioural Finance Australia and Steve Christie, Director and Principal of ACD Financial, along with Associate Professor Peter Vann, MAFC, as moderator. The additional campus workshop, attended by almost 20 participants, was held on 1 December 2016 at the Experimental Lab at MGSM and was targeted at PhD students. It explored attitudes to risk and uncertainty as a key component of most economic models and examined developments in the past two decades in methods to measure these preferences in the lab and in the field, and ways of improving outcomes through careful design and implementation of models. The workshop reviewed some of the standard methods for measuring risk attitudes commonly applied in the literature. It also looked at a relatively new strand of literature involving measuring people’s attitudes to ambiguity where decision problems arise because the probabilities of outcomes are not known, or “unknown unknowns”. Roy is also director of the PhD Program at Mahidol University’s College of Management in Bangkok. Roy received his PhD in Finance from Erasmus University Rotterdam in the Netherlands and he is a CFA charterholder. Prior to joining CMMU, Roy held positions as quantitative analyst at AEGON Asset Management, The Netherlands, as a postdoctoral fellow at the University of British Columbia, Canada, and as assistant professor at the Asian Institute of Technology, Thailand. He is a visiting researcher at the Erasmus School of Economics, The Netherlands. Dr Kouwenberg’s research areas are investment and behavioural finance. His main focus is on behavioural portfolio choice, especially the impact of loss aversion and ambiguity aversion on stock market participation. He has also done extensive research on financial risk management, especially asset-liability management for pension funds and insurance firms. Dr Kouwenberg has published his work in the Journal of Financial Economics, Management Science, the Journal of Financial & Quantitative Analysis and the Review of Economics & Statistics, amongst others. 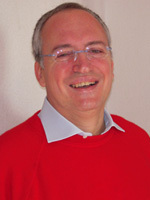 He is an editor of the Journal of Pension Economics and Finance, published by Cambridge University Press. He has refereed articles for the Journal of Finance, Review of Financial Studies, American Economic Review and Econometrica. Our PhD workshop is organized by the Centre for Financial Risk and will be held on Monday, the 6th November 2017. PhD students from the Department of Applied Finance and Actuarial Studies and the Department of Economics will be presenting their working papers. As usual, presentations are 25 minutes followed by a short presentation/review of the paper by a discussant (internal or external expert in the area who reviewed a working paper before the workshop) and a general discussion. The objective of the workshop is to provide a feedback to PhD students on their research and to improve working papers for submission to peer-reviewed journals. It is also a good training for PhD students in presenting their research and an opportunity for others to see the research of our PhD students. Below is the list of presentations. 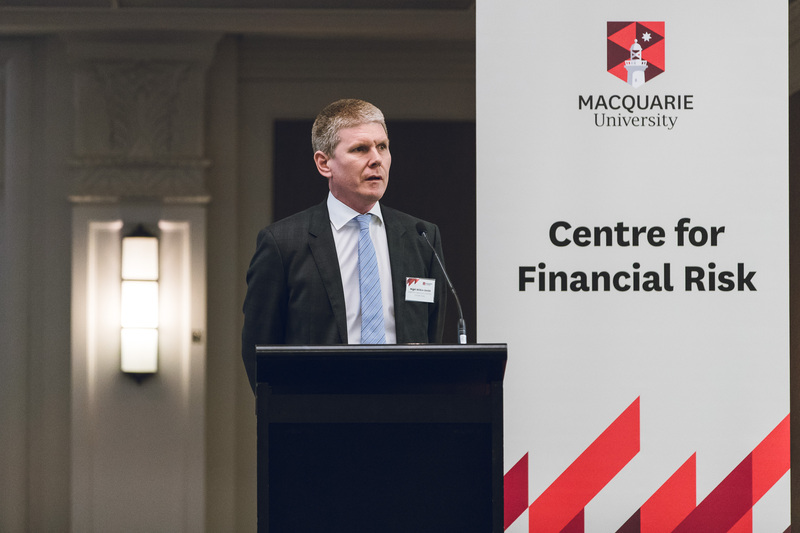 The 6th annual Financial Risk Day Conference was held on Friday 18 March. This year’s theme, Banking, Investment and Property Risk: Booms, Bubbles & Busts, led to robust discussion arising from the dynamic presentations. PhD students can take part in a 3-day course with Professor Marco Wilkens, University of Augsburg, in the last week of February. 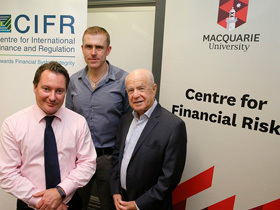 A highly topical seminar was presented by international credit market expert Professor Edward Altman from New York University’s Stern School of Business at an event arranged jointly by the CFR and The Centre for International Finance and Regulation (CIFR). In his 'first visit below the equator', Professor Tom Nohel, Loyola University, Chicago, delivered a stimulating seminar on Leverage Decisions in Portfolio Management. Presented in conjunction with the Department of Economics, the seminar considered the leverage decisions of portfolio managers by focusing on closed-end equity and taxable fixed income funds. The impact of various factors - including the liquidity of investments held by the fund, the net value of assets, and fund age - on leverage decisions were examined. The presentation also investigated differences in performance between leveraged and unleveraged funds holding either equities or fixed income assets. The visit, hosted by Professor Lance Fisher, included an informal tour of Sydney's financial district, and meetings with academics, researchers and visiting scholars. Professor Nohel is based at the Quinlan School of Business at Loyola University. His research interests include strands related to corporate financial policy, including the roles of asymmetric information and financial intermediaries, along with hedge funds and executive compensation and incentives. 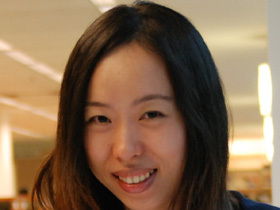 Dr Fan Yu has joined the Centre for Financial Risk as its newest member. Dr Yu is a lecturer in finance in the Department of Applied Finance and Actuarial Studies, after recently joining the Faculty of Business and Economics. Previously she was Assistant Professor at Fudan University in Shanghai. Dr Yu received her PhD from the University of Washington, Seattle, in 2013 and before that studied at Humboldt University, Berlin to gain her MA. Her current research interests focus on empirical corporate finance. Other areas of interest include executive compensation, contract theory, corporate governance, capital structure, cash policy and institutional investors. Dr Yu has a previous link with Australia, receiving the Best Corporate Finance Paper Award at the 26th Australasian Finance and Banking Conference in Sydney in 2013. We welcome Dr Yu as a member of the Centre for Financial Risk. 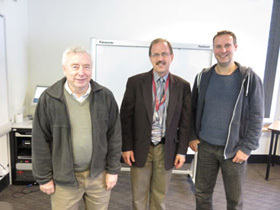 Top academic Professor Marco Pagano, University of Napoli Federico II, presented a week-long FIRN Masterclass for PhD students on Market Microstructure between Monday 28 September and Friday 2 October at Macquarie University. Professor Pagano is a highly regarded scholar in the area of banking and finance, asset pricing, risk management and market microstructure. He has published regularly in journals including the American Economic Review, Journal of Finance, Review of Financial Studies and other leading outlets. 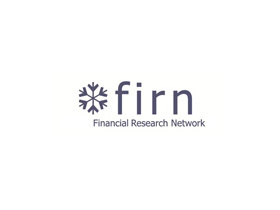 The course is designed for economics and finance PhD students enrolled into member universities of Australia's Financial Research Network (FIRN). It offers the opportunity for participants to understand basic analytical tools of market microstructure theory, show how these tools can be used to analyse regulatory and market design issues, and to illustrate how market microstructure interfaces with asset pricing and with corporate finance.